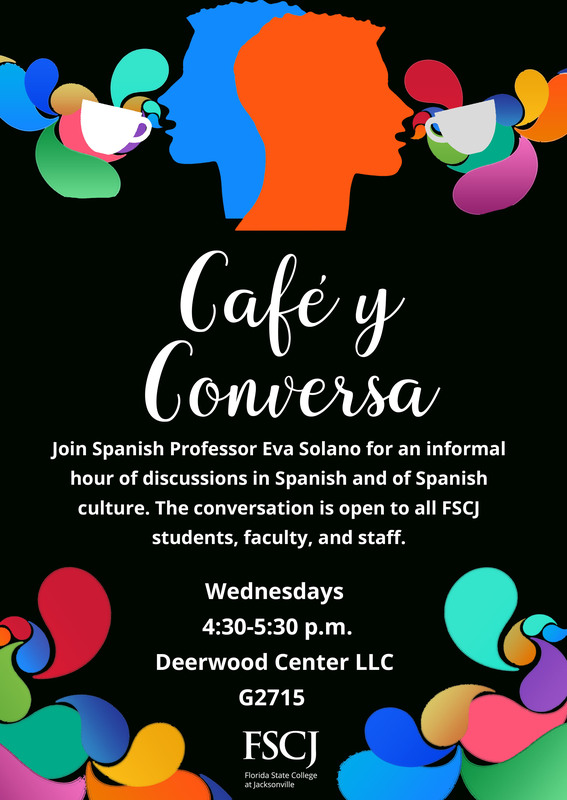 Join Spanish Professor Eva Solano for an informal hour of discussions in Spanish and of Spanish culture. The conversation is open to all FSCJ students, faculty, and staff. Free coffee will be available to attendees while supplies last. Wednesdays, 4:30 - 5:30 p.m. in room G2715 of the Deerwood Center Library and Learning Commons, which is located at 9911 Old Baymeadows Rd, Jacksonville, FL 32256.